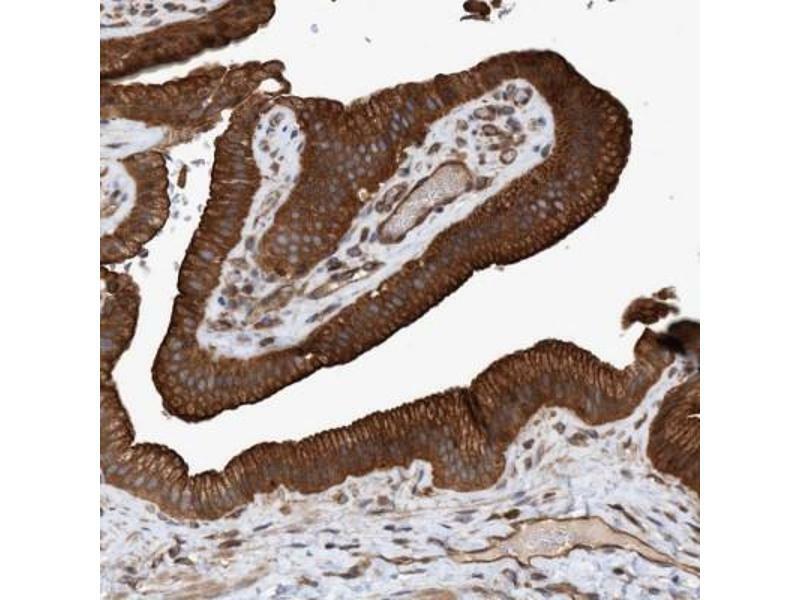 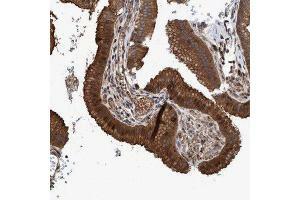 Immunohistochemistry-Paraffin: GTP binding protein era homolog Antibody [NBP1-89704] - Staining of human gall bladder shows strong cytoplasmic positivity in glandular cells. 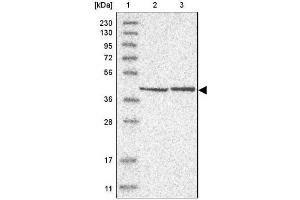 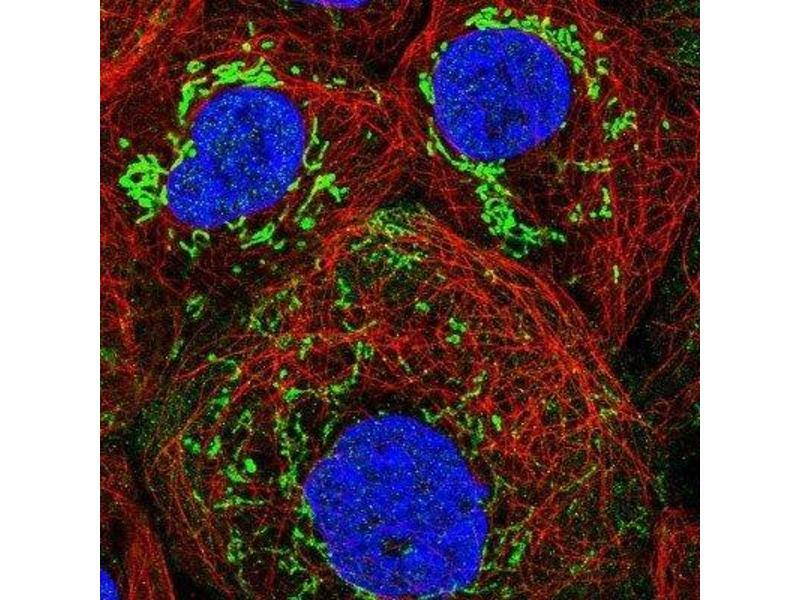 Immunocytochemistry/Immunofluorescence: GTP binding protein era homolog Antibody [NBP1-89704] - Staining of human cell line A-431 shows positivity in mitochondria. 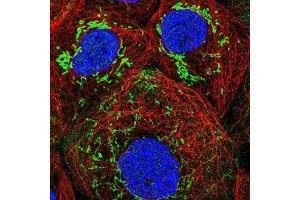 Immunocytochemistry/Immunofluorescence: GTP binding protein era homolog Antibody - Immunofluorescent staining of human cell line A-431 shows localization to mitochondria. 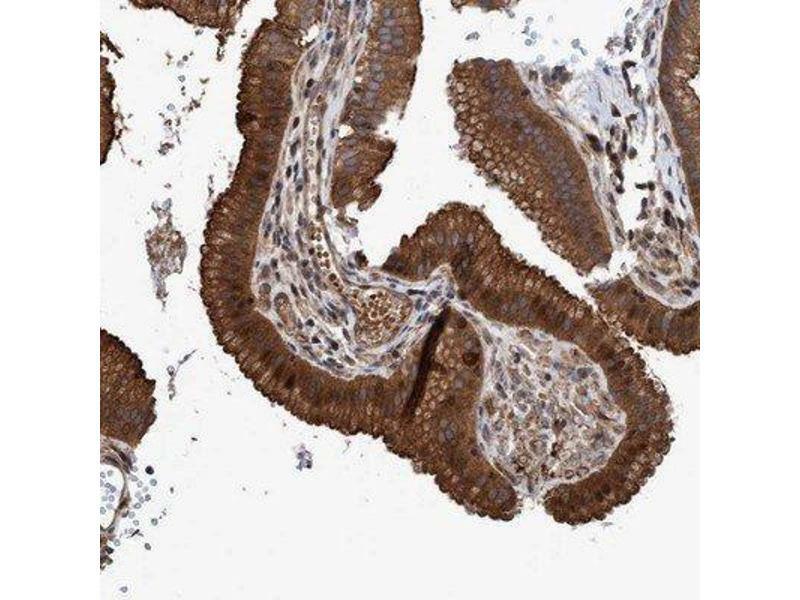 Immunohistochemistry-Paraffin: GTP binding protein era homolog Antibody - Staining of human gallbladder shows strong cytoplasmic positivity in glandular cells. 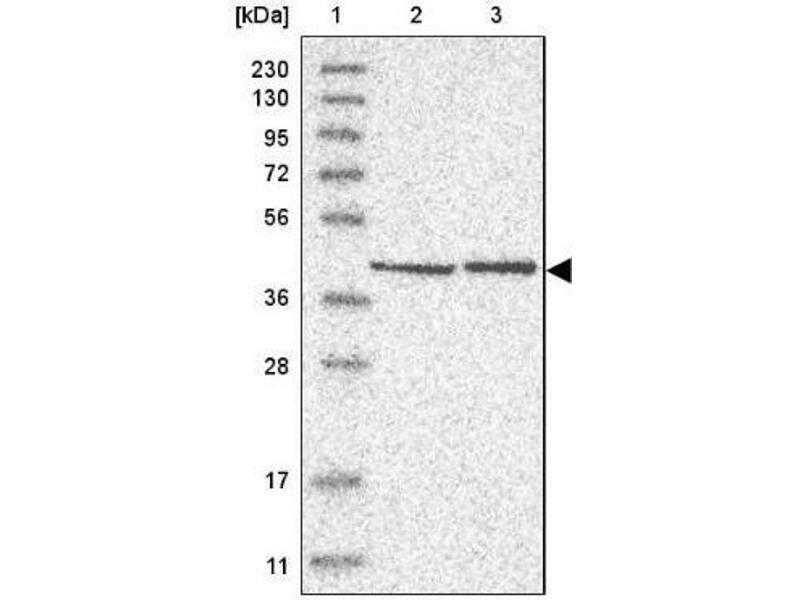 Indications d'application Western Blot 1:100-1:500, Immunohistochemistry, Immunocytochemistry/Immunofluorescence 1 - 4 μg/mL, Immunohistochemistry-Paraffin 1:10-1:20For IHC-Paraffin HIER pH 6 retrieval is recommended.